Tom's Hardware received an exclusive picture of Tt eSPORTS upcoming Level 10 M gaming mouse. Just like the Level 10 case, this peripheral was designed in cooperation with BMW Designworks USA. The design of the mouse is pretty unconventional, and I assume the price tag will be pretty high too. The immediate standout feature of the Level 10 M mouse is that it features a hollowed-out design that allows for height and angle adjustment of the mouse body. By turning a screw on the top side of the mouse, users can adjust the size and shape of the mouse, changing how it fits under the palm. 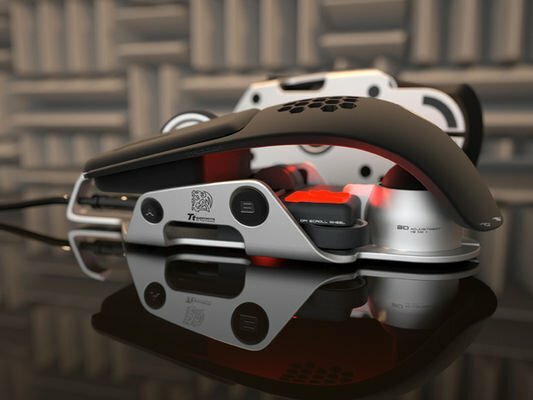 The Level 10 M mouse also features a perforated palm surface to help alleviate some of those sweaty gaming sessions with passive airflow.